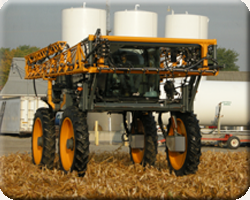 In the changing world of agriculture, United Equity is pleased to provide you with modern precision agriculture. Our applicators are capable of Variable Rate application of both lime and dry fertilizers. To best utilize the Variable Rate Technology, we start off with a solid soil sampling program. We have the technologies to sample by soil type, grids, or management zones. United Equity uses the latest software from SMS Advanced and Raven to display and read data from your farm. With our strong agronomy base we can tailor our Variable Rate Technology to fit your yield goals and nutrient needs for each farm and field.